The RTDT285 is a isolating transmitter that accepts inputs from any type of resistance bulb with a signal swing of 7Ω up to 230Ω. In the case of the popular industry standard Pt100 this would represent a temperature span from 15°C up to 650°C. The RTD is wired in 3-wire fashion to avoid errors caused by lead resistance changes. 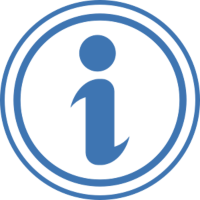 2-wire connection can be used with a short lead length or under constant temperature conditions. Lead breakage will cause the output to increase to maximum. The RTDT285 is linearised to within 0.5% for Pt100 inputs. Differential inputs from 2x Pt100 sensors can only be connected in 2-wire mode. Lead balance errors can be avoided by using approximately even cable run length and same type of cable. Bipolar temperature differences are calibrated with the 0-point at mid-scale output (12mA). Final calibration is trimmed using the front accessible zero and span 15-turn trim adjustments and a link selectable output range. 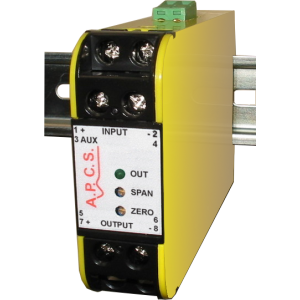 A wide range ac/dc supply powers the input and the output circuit with three way power/input/output isolation.